Autograph Letter Signed, to Lady Maria Brodie at Cannes, accepting the invitation to the marriage of Lady Maria’s daughter. In French. 2 pp. 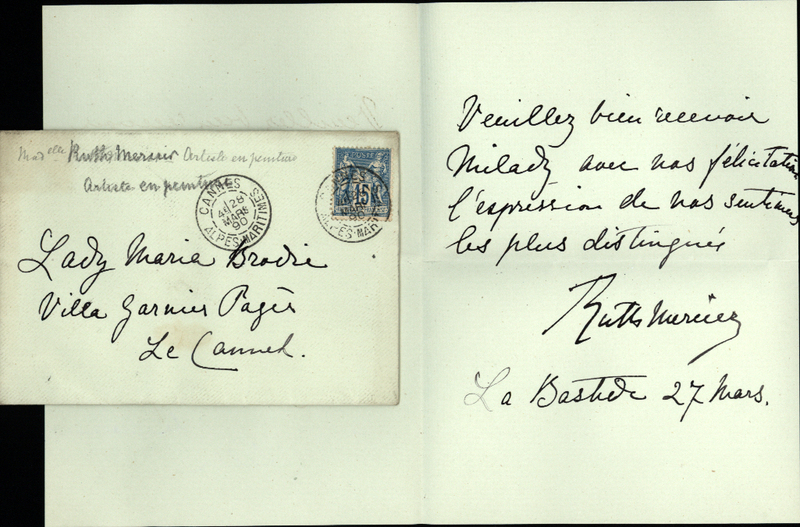 6½ x 5 inches, with the original franked envelope. Cannes, 27 March 1890. Ruth Mercier, artist, flower painter, was born in Switzerland of French parentage, studied and worked in Paris, and exhibited in France and England, c.1882-1915.